Usnea extract, also called usnic acid or old man's beard, is a medicinal substance known as lichen -- a species mixture composed of a fungus and an algae. Traditionally, usnea was used to aid in digestion and treat common infections. However, additional research is needed to support these purported health benefits of usnea extract. Before you use this supplement, talk with your doctor about the harmful side effects and risks associated with usnea extract. Using usnea extract may damage your liver. Symptoms associated with liver damage include abdominal pain, jaundice, dark urine, pale or light-colored stools, bloody stools, swelling or confusion. Left untreated or undetected, liver damage may become permanent. Seek prompt care from your physician if you develop any liver damage symptoms while taking usnea extract. 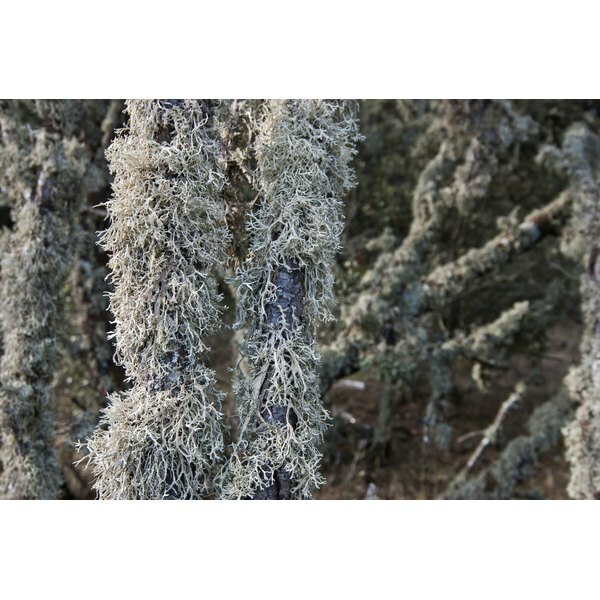 Topical applications of usnea extract may cause severe skin irritation or an allergic reaction. The treated skin region may appear inflamed and may be itchy, dry or tender to the touch. A severe allergy to usnea extract may induce life-threatening health complications, including shortness of breath, difficulty swallowing, hives, facial swelling and loss of consciousness. Anyone who develops a severe allergic reaction after taking usnea extract should be seen by an emergency medical provider immediately. If you are taking certain medications, treatment with usnea extract may be inappropriate. Concomitant use of usnea extract and anticoagulant or blood-thinning medications should be avoided. This combination of treatments may increase your risk of developing bleeding or bruising complications. The safety and effectiveness of usnea extract have not been evaluated in women during pregnancy. For this reason, expectant or breastfeeding mothers should not use usnea. Additionally, consult your doctor before using this natural supplement if you have a personal or family history of liver disease. The amount of usnea extract you should take depends upon certain factors, including your age and health status. Health professionals with the University of Michigan Health System report that adults may take 100 mg of usnea in capsule form up to three times each day. Alternatively, 3 to 4 mL of an usnea extract tincture may be used three times daily. For more personalized usnea extract dosage guidelines, consult your physician.